This is what 50 years of friendship looks like. 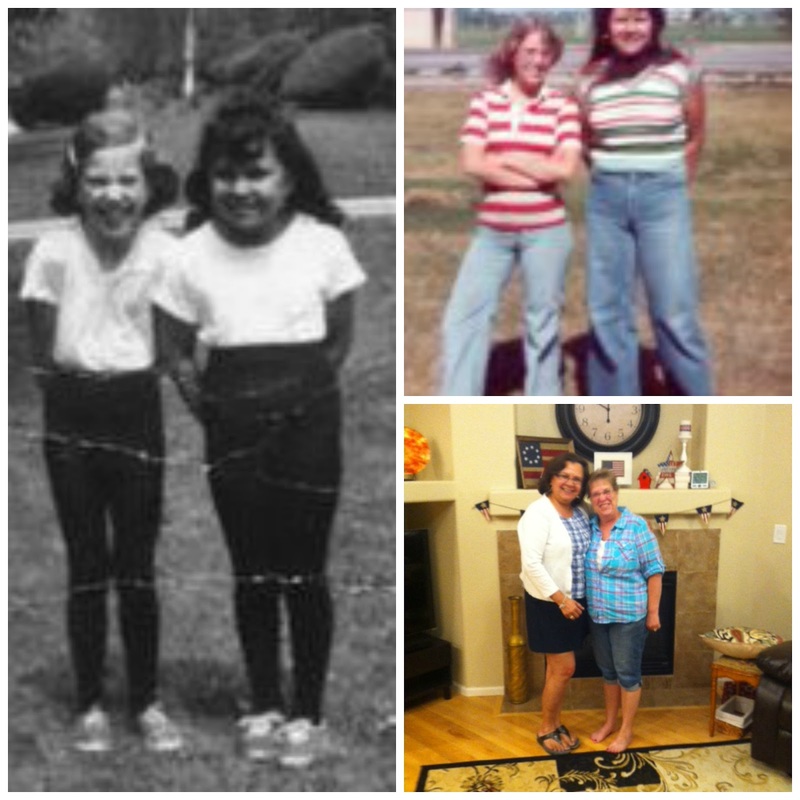 Cindy and I have been best friends since we met at the age of 6. We both have traveled many miles, but when we get the chance to get together, it is like no time has past at all. We are still those goofy little girls in our tights and a t-shirt. Much love to you my dear friend sister! Aw! That is the sweetest thing! Long live friendship!! Love this! Again, you've made me feel like getting in touch with some of my old buddies to see how they're doing. It seems I've lost touch with most everyone, except a few college friends. I'm not on facebook for personal use ever really, but it's probably the quickest way to find someone. I love your "almost" wordless Wed post! What a great idea to post these pictures of you and your forever friend. I have an old friend from when I was 5 and I wish we could visit more often. This is my first time visiting your blog, I saw you on the linked up Wordless Wed post. Hope you have a great 4th of July! Such fun! You look great! You're so cute! Love your enthusiasm about your friend! It's pretty rare for someone to be that close for so long especially in today's world! Awww! You guys are so sweet! You know it's a true friend when time and distance can pass, but when you get together, it's as if none of it separated you! Best post I've seen all week! Thank you so much for sharing, those photos are great. I am off to work now with a massive smile, you have made my day! Isn't it wonderful to have a friend that is like a sister.. to be apart but when you are together it is like you never have been apart. A wonderful post and thank you for linking it up to my Almost Wordless Wednesday. Bravo to friendship! Wonderful post Kathe, I think there are many people out here in blogland that are smiling after reading this post. 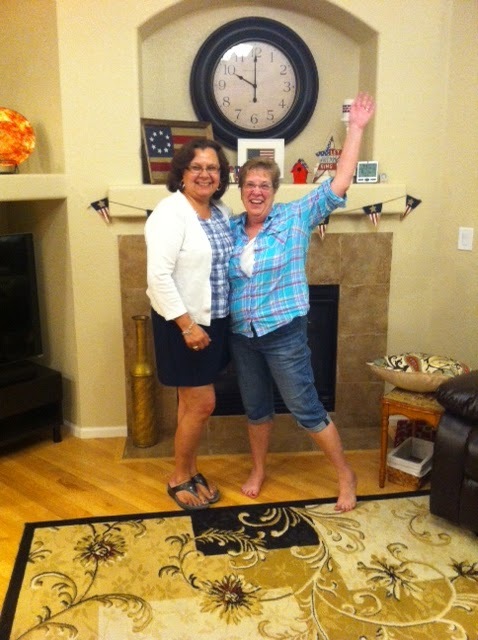 What a blessing to have a life-long friend! Love seeing those old pictures brings back memories. Thank you for sharing on Four Seasons Blog Hop.